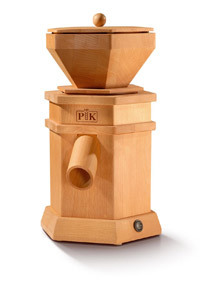 The Komo Flocino makes fresh flakes in no time at all! 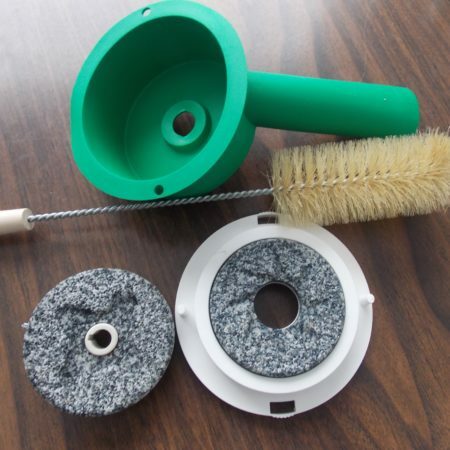 For cooking and baking, for muesli and everything else that would benefit from a little whole grain enrichment. 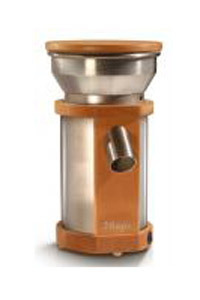 Like the FlicFloc, the Flocino uses tapered, steel rollers to produce cereal flakes, similar to rolled oats, almost effortlessly. Its ease of operation may account for its popularity with the preschool set. 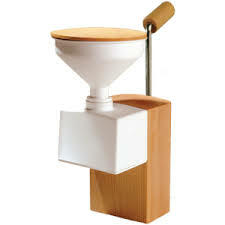 The table mount version is equipped with a hopper of white plastic and a hopper lid of solid beechwood. 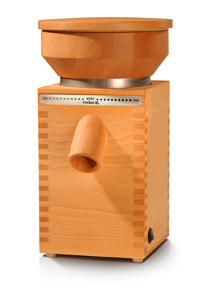 Thanks to the clever roller system, the Flocino requires only a short cranking radius of 6 3/4 inches (17 cm), making it suitable for even the smallest kitchen.